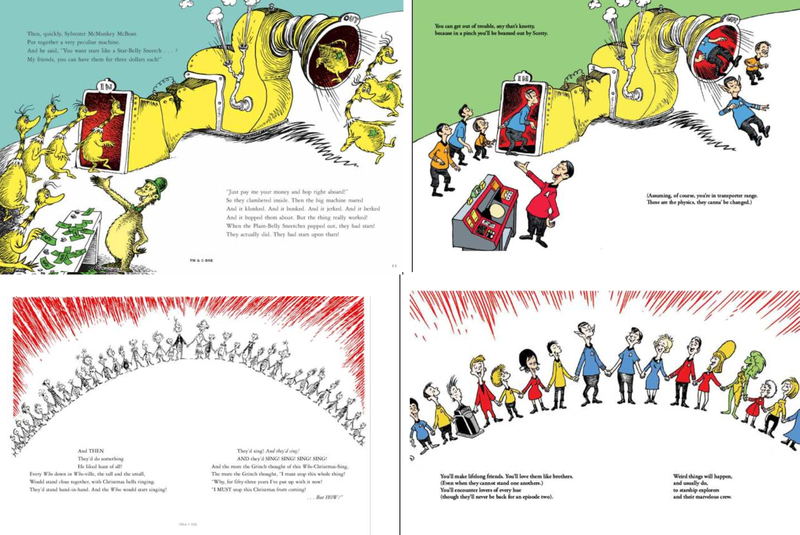 September 2016 – DAVID GERROLD (“The Trouble with Tribbles” writer) and TY TEMPLETON (renown comic book illustrator) had an idea to do a mash-up of Dr. Seuss’ book Oh, the Places you’ll Go! with Star Trek to create a book they planned to call Oh, the Places You’ll Boldly Go! Along with ComicMix, LLC, they set up a Kickstarter and raised $30,000 before DSE forced the crowd-funding service to shut down the campaign. June 2017 – After filing a pre-trial motion to dismiss, Team Mash-up seemed to be inches away from the finish line. The judge threw out the trademark infringement portion of the complaint entirely, and seemed poised to rule the mash-up Fair Use. Although not seen by the judge as a parody (which is completely protected as Fair Use), she did find the work transformative…a key element of Fair Use defense (which also allows the defendant to profit off the work). 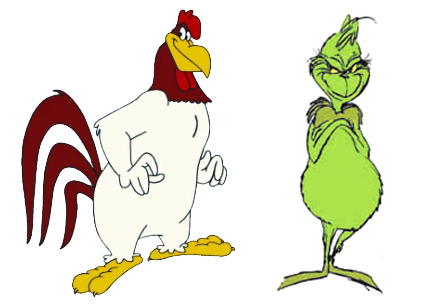 The plaintiff was then given two weeks to provide proof of any harm to the Seuss estate’s licensing opportunities. If not, the judge seemed ready to dismiss the remaining copyright claim. The plaintiff was also given two weeks to amend their trademark complaint. But it seemed like this case was all but won by Team Mash-up. July 2017 – The plaintiff did, indeed, re-file an Amended Complaint. Not surprisingly, the defendants then filed a new Motion to Dismiss. December 2017 – In a shocking turnaround, the judge responded to the amended complaint by reinstating the trademark claim. And worse for Team Mash-up, DSE also provided enough proof of potential harm to their licensing and other revenue that the judge now considered Fair Use to be in a state of “equilibrium”…meaning it could go either way, and she was not going to dismiss the copyright claim. The lawsuit would continue forward. There…all caught up (and only 344 words)! You can read a more in-depth analysis by checking out any of my previous blogs on the subject. So what just happened in May and June to affect this case so significantly…and why do I call it a chess game? 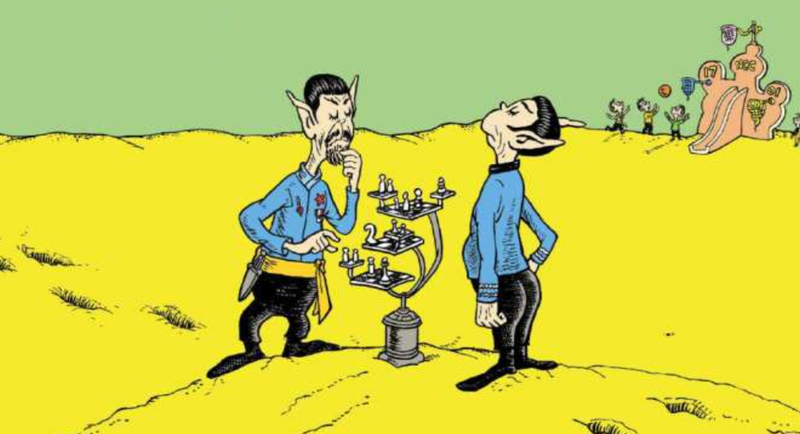 I suppose many aspects of lawsuits tend to be like chess, but in this particular case, moves are being made by both lawyers to remove valuable pieces from the other player’s side of the board. 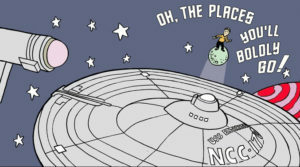 The title – Oh, the Places You’ll Boldly Go! 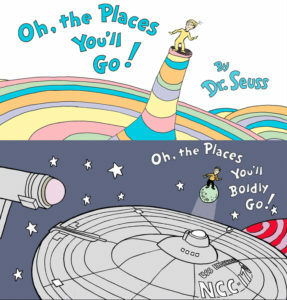 is essentially the same as Oh, the Places You’ll Go! and could be confusing in the marketplace. Buyers might think they are purchasing a work by, licensed by, or endorsed by Dr. Seuss Enterprises. The font – the hand-lettering of the title on the cover of Boldly is nearly an exact copy, letter by letter, of the lettering on the original. It is permissible to trademark typefaces. If that extends to hand-lettered titles on covers, then Team Mash-up could be liable. 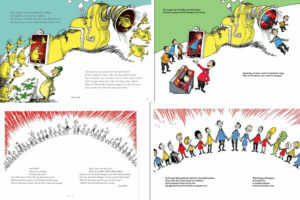 The artistic style – as you can see from the artwork comparison below, the style of Boldly is very very similar to Dr. Seuss’ style (intentionally, of course). But the question is: can you trademark an artistic “style”? If so, then it’s another problem for Team Mash-up. 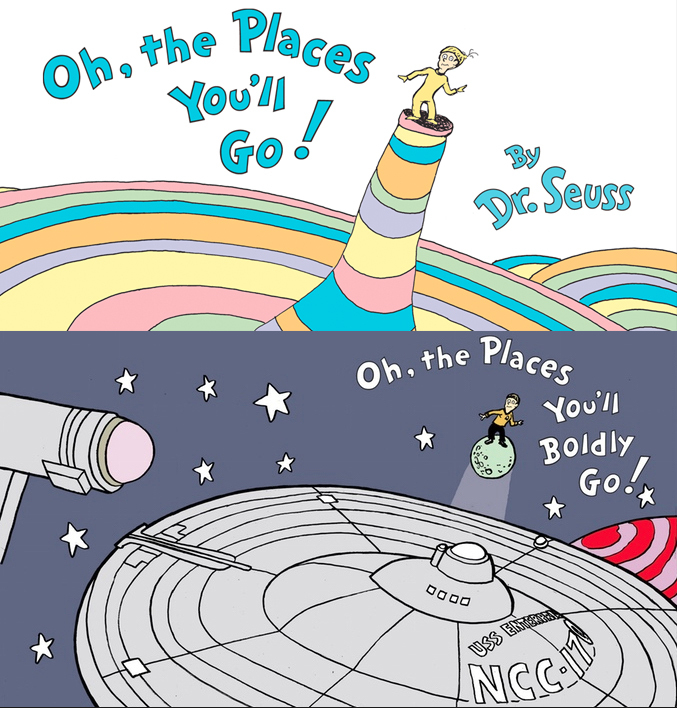 The first question that needs to be asked is whether the title Oh, the Places You’ll Go! is a FONT or a LOGO. Let’s say it’s a font. Those can be trademarked and licensed. If that’s the case, though, DSE needs to show they’ve registered a trademark—design patent, actually—for that entire typeface, all 26 letters of the alphabet. If they haven’t (I don’t have the time to do a full patent search myself), then they can’t sue someone else for using it. However, if they’re calling it a LOGO instead, well, that’s a different story. You can trademark a logo. But in order to do that, the defendant needs to have copied it exactly. For example, McDonalds has a trademark on the two golden arches. However, they don’t have a trademark on one golden arch, or three for that matter. So by adding the word Boldly, has the defendant transformed the logo enough to make their own? It’s a good question if it ever gets in front of a jury. After all, Ty Templeton had to create original hard-lettered versions of the letters capital “B” and lowercase “d” and “y”. Is that “adding the third arch”? There’s also the question of Nominative Fair Use, which allows a person or business to use a trademarked name or logo if it’s necessary to explain what they are and do. For example, “Mike’s Porsche Repair” can use the trademarked word “Porsche” in the name because it explains his unique service . But Mike doesn’t necessarily need to use the Porsche logo. If he doesn’t, he’s probably safe. 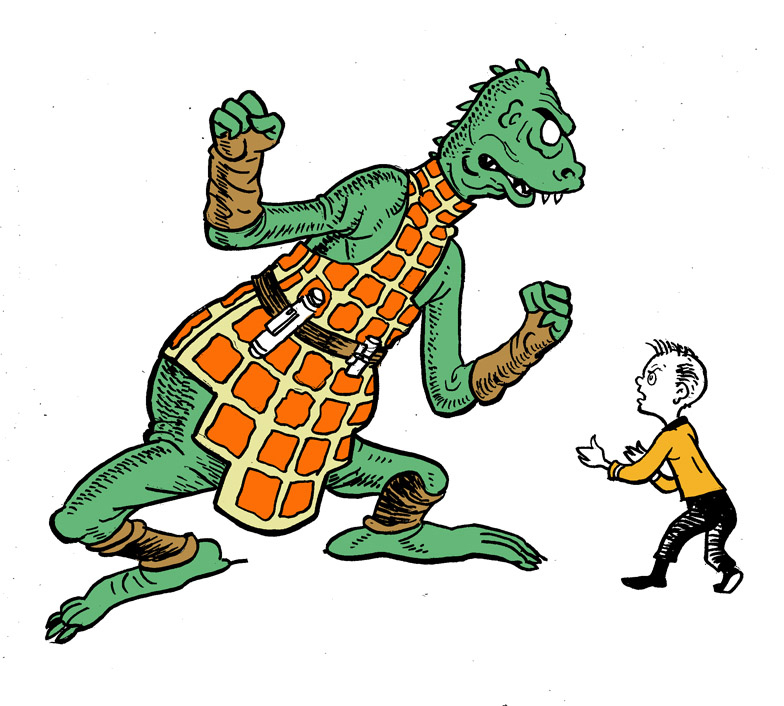 A similar argument was used with Oh, the Places You’ll Boldly Go! Does the mash-up need to use the original title’s name to explain what their mash-up is? This was argued previously without convincing the judge. Her issue was with the font—was that using more of the original trademarked work than was necessary to explain what the mash-up was? Was that like Mike’s Porsche Repair using the Porsche logo? But DSE is claiming a trademark on the font, not claiming that the title serves as a logo. So it’ll be interesting to see how this shakes out in court. After all, the book hasn’t come out yet, and no money has been made from it up until now. Does a promise to change the font (if they win in court) convince the judge to strike the second trademark complaint, as well? I’ve got no idea on that one. Can you trademark an illustration “style?” Even Judge Samartino couldn’t say for certain (as this remains an open question). But in my opinion—non-lawyer and non-judge that I am!—you can’t. Here’s why, and it harkens back to what I said about trademarks being specific. Paramount once trademarked the USS Enterprise (specifically, the movie-era refit). But it would never have been allowed to trademark the “style” of the starship. In other words, just having a saucer-shaped front and two cylindrical engines behind would hardly qualify as trademark infringement. It’s too much of an overreach. 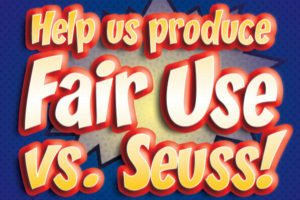 So in my opinion, granting the entire illustration “style” of Dr. Seuss—which spans dozens and dozens of books; hundreds of characters of all shapes, sizes, colors, and species; as well as machines, environments, and architecture—is just way too vast and could severely threaten free artistic expression for illustrators who even inadvertently come too close to whatever DSE deems to be their stylistic intellectual property. In short, the first thing that happens in a lawsuit is the plaintiff files a complaint saying, “You did this…and this…and this…and here’s why it’s wrong and we’ve been damaged.” In reply, the defense states a series of affirmative defenses: “It’s not wrong, and here’s why…” All of the reasons after the “why” are affirmative defenses. Both sides begin throwing everything including the kitchen sink into their arguments. The reason is that, once the trial starts, these are the only arrows you get to shoot. 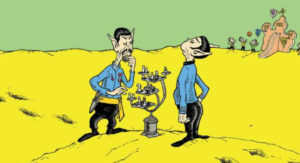 If Team Mash-up gets to trial and suddenly says, “Hey, we’ve got this letter from Dr. Seuss to Gene Roddenberry saying that Seuss loved Star Trek and would be happy to let his characters be put into Star Trek uniforms,” and that fact wasn’t previously presented in affirmative arguments and discovery, it’s thrown out. Team Mash-up couldn’t use it. Each side has to know what’s coming from the other side before trial starts. That’s why the discovery phase of a lawsuit lasts so long. Our legal system allows a judge to toss out certain affirmative defenses from a pleading if he or she feels they are “redundant, immaterial, impertinent, or scandalous.” The idea is to keep the trial as short and to the point as possible. So if the defense is trying to stuff as many arrows as possible into its quiver with the hope that one will hit the target—ven the most outrageous one—the judge can say, “Sorry, that’s a little too outrageous…” and take away an arrow or two…or even many. Lately, it’s becoming somewhat common for plaintiffs to file motions challenging as many affirmative defenses as possible. After all, what have they got to lose? Take away as many arrows as you can, since only one needs to hit the target to potentially win the lawsuit for the defendant. So that’s what happened a few months ago when DSE challenged 20 of the 37 affirmative defenses put forth by Team Mash-up. And as I said above, 11 were tossed out by the judge. So that’s 11 arrows that the defense can no longer fire. How bad was the ruling for Team Mash-up? Well, 4 of those 11 didn’t really matter anymore because they alleged that DSE’s claims were invalid due to inaccurate information on the copyright registrations. The judge already determined that the information wasn’t inaccurate, so these 4 affirmative defenses were essentially moot anyway. So what about the final 7 arrows? Well, 2 of the remaining 7 were problematic to start with. One said that DSE had no damages (because this book was never published), and the other said that ComicMix and the authors made no profits (same reason). However, these aren’t necessarily facts; they’re conjectures. It still remains to be seen through discovery and then argued at trial whether either of these claims is true. They’re probably true, but the defense can’t simply come into court and start out by saying, “It’s a fact that DSE suffered no financial harm from our actions.” Sorry, boys, but you’re gonna haveta prove that; it’s not a gimme. That leaves 5 arrows…and what’s interesting on these last five is that the judge is actually giving Team Mash-up a “do-over” on all 5 of them. These defenses are what is known as “boilerplate,” meaning you just sorta copy-paste some words and throw them in: failure to state a claim, estoppel, unclean hands, unjust enrichment, and intervening causes. What the judge said here is simply that you can’t be that vague. If Team Mash-up wants to use these five elements in their defense, fine…just provide some facts to back them up (don’t just throw words around). So she’s letting them amend those five defenses and potentially get them back. What’s much more significant than the 11 arrows that got taken away (or potentially only 6, if the do-over works out), is the 9 arrows that are still in the quiver. I won’t go through them in detail, but just know that, had the judge eliminated some or all of those defenses, it could potentially have been devastating…which is likely why the plaintiff challenged them. Instead, those arrows remain in Team Mash-up’s pleading, and that’s critical. What happens next? Well, there’s a lot of time between now and next spring when trial is set to begin. So I’m sure this won’t be my last Seuss/Trek update. In the meantime, though, I’ve reached out to Glenn Hauman of ComicMix (the fellow who wrote the description for their GoFundMe entirely in rhyme!) and asked for an interview. When he responds, I’ll be certain to publish it right here! In the meantime, remember that you can still donate to help Team Mash-up keep their legal defense going by clicking here…. I wish in this case and others that there was compulsory arbitration before a lawsuit. Maybe some of the issues could be settled if people sat down together. And if not, the lawsuit would go forward. If it’s any consolation, Jerry, there is usually a court-ordered mandatory settlement conference scheduled before a case goes to trial. For this mash-up lawsuit, that conference happened a few months ago…obviously without a settlement. It was during such a mandatory settlement conference that CBS and Paramount finally changed their settlement terms and Alec Peters finally agreed to settle…just weeks before the Axanar trial had been scheduled to begin. However, there is a difference between a settlement conference and arbitration. Arbitration, unless binding, is mostly meaningless in a case like this. The two parties are too far apart. An arbitrator is like a judge without a jury. He doesn’t look for a compromise necessarily; an arbitrator rules and the parties must comply…as in a court trial. So by saying, “Maybe some of the issues could be settled if people sat down together. And if not, the lawsuit would go forward…” the fact is that, if the arbitration were not binding, whichever side got the short end of the arbitration ruling would likely choose to continue with the lawsuit. If the arbitration were binding, then neither side would have that option, and likely ComicMix would not go for it. California is a very liberal state (even in conservative San Diego). A jury is more likely to come to a judgement in favor of the defendant in this case. It’s not a guarantee, but if I were ComicMix, I’d put my eggs into the jury basket rather than the hands of an arbitrator. I think Jerry might be thinking of mediation. Possibly. And as I said, a settlement conference has already happened. So far, it looks like neither side is budging. Thanks for the informative update. Think of my comments as a verbal sigh. 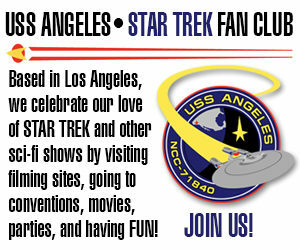 Previous Previous post: Oh, The Places You’ll Boldly GoFundMe!